I just wanted to take a minute and say hello and share some awesome new discoveries I have made. 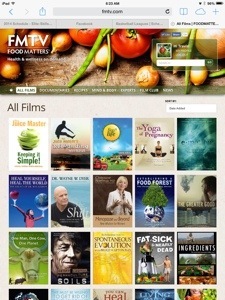 My fascination with the Hungry for Change documentary has led me to Food Matters TV and I’m beyond excited to dig into the hundreds of documentaries that are available there. Also, while getting on Facebook this morning to make sure I was spelling someone’s name right while writing a memory in my journal, I came across a post from one of my favorite authors, Dani Shapiro. She was promoting an interview with Jonathan Fields for his Good Life Project. 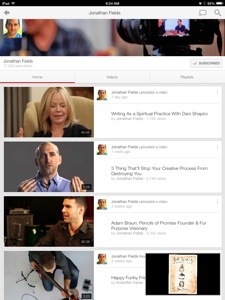 Once I did a quick search for Jonathan Fields on YouTube, I was astounded to see hundreds of interviews that he has completed with brilliant people who all have life-changing stories. I am sharing this with you today to let you know if you are interested in growing and learning, these appear to be two wonderful places to start. There’s a whole big world of amazing discoveries out there for all of us once we take the time to look for them. Have a great weekend!! PS. If you watch any of these Jonathan Fields YouTube videos or see any of the FMTV documentaries, I would love to hear your thoughts. Peace. Next What Women Want: A Side Note.